Unknown ancient people left the newly discovered fantastical creatures hewn of granite in Altai Mountains. 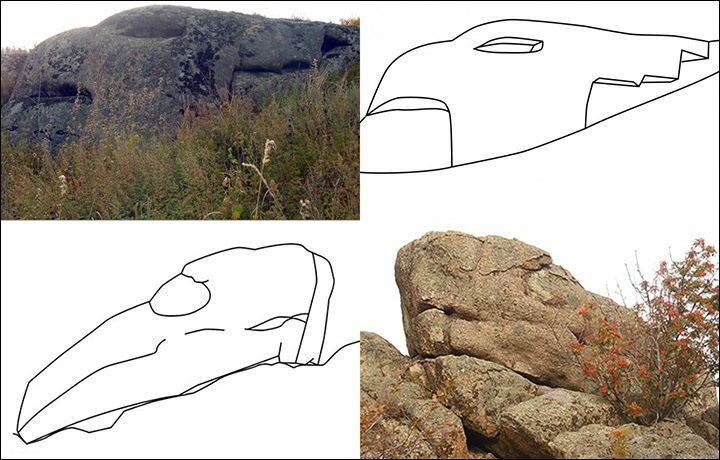 This dragon drawn on a rock weighing a staggering 120 tons is believed to be exceptionally old, a megalith designed by a mysterious ancient population about whom we know nothing. 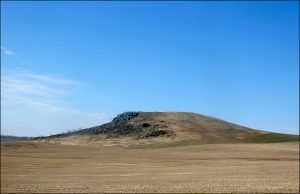 The unique megaliths were located at Mokhnataya mountain in Altai region, some 20 kilometres from the resort town of Belokurikha. Archeological researchers who found the granite monuments believe they date back deep into ancient history, and were put into position by prehistoric people, yet how they did so, and why, currently defies understanding. The heavyweight dragon seems to be the oldest known image of this mythical creature in Russia. It does not appear to be related to the Chinese style of portraying the mythical creature, but a unique Siberian depiction. The dragon ‘has bold and smooth features similar to those of crocodiles and dinosaurs, impossible to form if granite cracks naturally,’ said researcher Ruslan Peresyolkov, who has closely studied ancient Altai monuments with his colleague Alexander. ‘If we accept the fact that the dragon is an artificial object, then the stones composing it were brought, processed and installed in a certain position,’ he said. ‘The rock weighs over 120 tons. At first sight, the hulking griffin depiction resembles eagle-headed mythical creatures of this kind in Siberia’s Scythian culture which held sway between 2,000 and 3,000 years ago. 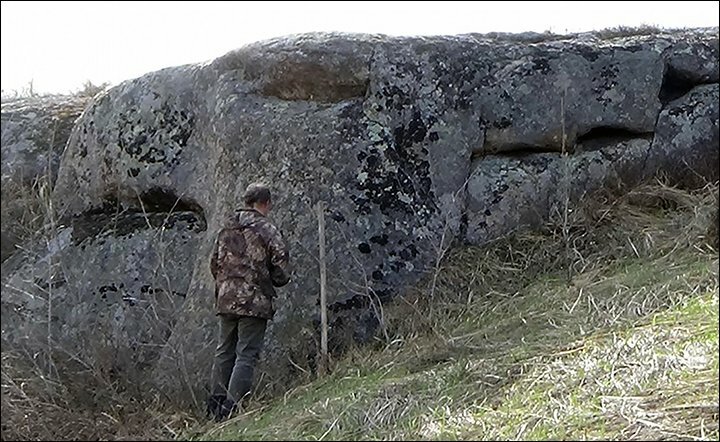 Yet the Scythians did not create such monumental sculptures, and these megaliths appear substantially older, on a par with the oldest examples known to man, Ruslan said. ‘It resembles a reptile’s head with distinctive jaws and eye,’ he said. ‘The stone bird is 5.9 metres in length and over 2.5 metres in height. ‘The griffin has a distinguished skull, a bold and heavy beak, an eye shaped like a cavity and a long notched crest. Its neck can be clearly seen, and the rest is, perhaps, hidden underground. ‘In my opinion, this is a unique discovery,’ Ruslan Peresyolkov said. 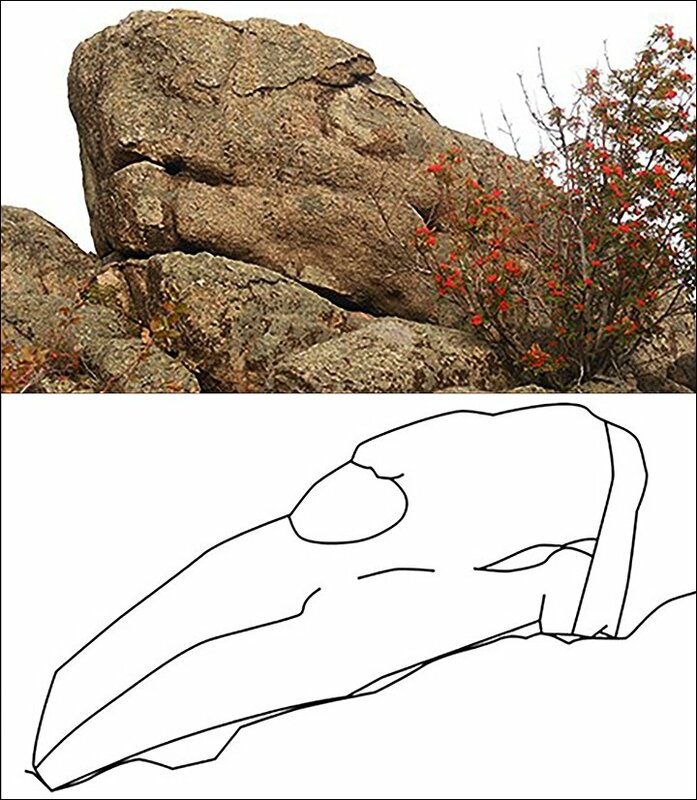 ‘The most similar finds to this griffin is a zoomorphic monument in Ocharovatelnaya (‘charming’) mountain in Altai that was described in 1993, and sculptures of the Ak-Baur and stone sphinx in Seleutas mountain close to Ust-Kamenogorsk. ‘In all of these cases it could not been established exactly when the megalithic monuments were made. The researcher said: ‘The dragon and griffin are unique in terms of their sizes; the griffin is also unique in terms of its preservation. ‘No other dragon megalith has been found in Siberia, although we believe such discoveries are possible in future. This would mean a minimum of between 11,000 and 12,000 years ago, although the researchers believe they maybe significantly older even than this. However, he made clear detailed research was required to give a more precise dating to the finds. The iconic stones at this site in England were erected around 2,500 years ago. Ruslan said: ‘In my opinion, dragon has no analogues but can be compared to the Scythian animal style. Perhaps, the Scythians inherited a more ancient system of symbols. ‘The serrated crest of the griffin strongly resembles Scythian symbols from burials of the Pazyryk culture in Altai. The megaliths at Mokhnatya mountain was discovered in 2013 but are only now disclosed. The Hermitage museum in St Petersburg has been informed of the discovery. The researchers believe that the images may be related in some way to the forced migration caused by the Ice Age.